pNames is a simple addon to change names displayed in every chat channel. It includes an option menu to choose between "@UserID", "Character Name" and "Character [email protected]" thus, per guild, but also for party and say, tell and zone channels. - You can now select to display @UserID or [email protected] on every channel. Two options have been added, on for party and one for all other channels. - Addon now drop brackets and the "handler" (right cic interaction) from NPS speechs. - Fixed an issue where LibAddonMenu was not included. - Fixed an issue with player links when the "Character [email protected]" option was selected. - Added an options menu, with 3 name format options. - Issues with joining and leaving guilds should be fixed. But I cant make it to work whith whisper messages the way I want. All other channels show [email protected] now, whispers still only show the Accountname. This works well in zonechat (as zone and whispers are the same in the menu). Any chance we could get nicknames added to this addon? In particular guild nicknames! I used to rename my guilds to their abbreviations to save chat space with pChat, but now pChat freezes my game. I saw you comment on a small update, but the date for download is still June...?? Little update with few additions. I hope there's no issues, if so, please report, thank you. Any chance this can be made to work with zone chat? At next DLC, it will work for any channel. 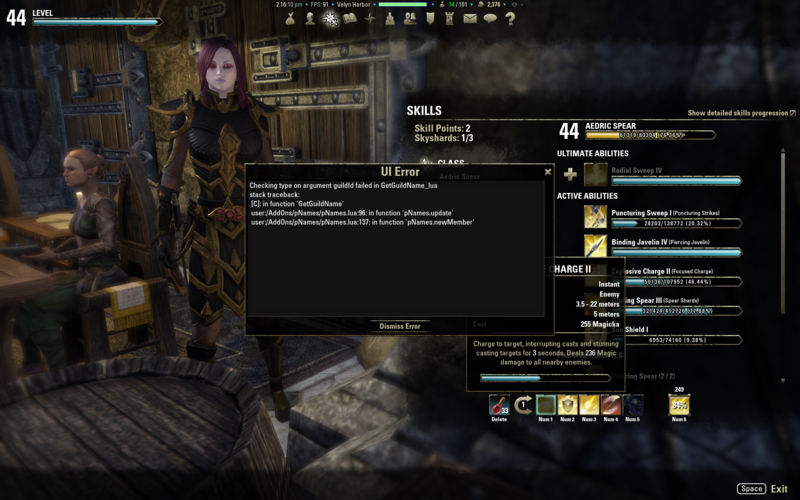 A little word to say that updated version for eso u5 is released. For users with compatibility problems with some others ddons, a solution should be done in few days/weeks, because i'm quite busy for now. Hello, after looking at StrangerFull AddOns, it appears that ChatStamp was the one which caused problems. If you want something which do timestamps and name rewriting, you could try pChat instead. (made by myself ). Play with options if you don't like features added in pChat. 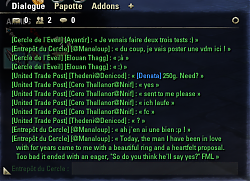 And yes, chat is bit problematic, cause if an addon called A modifiy message, it broke addon B. It's not like map where you can add infinite pins.. you only got few things to modify and generally chat addons breaks each others. I've did a library who separate "message" into text, from name and "whole thing", but all adons don't use this one. (and the library isn't finished at all). Last edited by Ayantir : 09/22/14 at 10:37 AM. Hello, I've added a new version with the corrected bug on new members and also an option to force conversion for people where addon does anything. (at he top of option panel). hope it will help ! So a little update of this addon, with a little rework to avoid reloadui when joinin a guild. For people who still get the problem of "pNames does nothing" even if menu settings are well configured, so i've tried some things, and it could maybe a 3rd party addon wich play with name of the sender of messages, like pNames..
First of all, thanks for the addon. Been using it forever. With this latest update came UI errors, however. Something to do with new member notifications. Only happens when new members join the guild. Otherwise everything seems to be working. 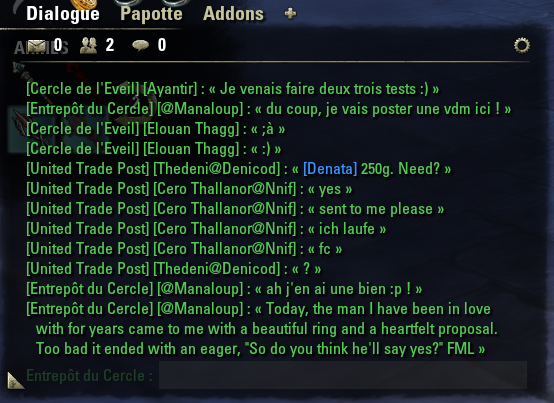 Sadly I did not get a SS (derp) and now my main guild has stopped their big recruitment bonanza, but if I do see it again I'll definitely post it. Last edited by Phinix : 09/19/14 at 12:49 AM. Thank you for considering donating to support further development of my addons.